Normally, you won’t find me making or sipping a smoothie. Or a green kale juice thing. I like to chew my food, and I don’t subscribe to the need for detoxes or cleanses. BUT, after a season of too much—sweets, rich and bountiful meals, chocolate, whipped cream, politics, tweet-storms, everything—a sparkling glass of green goodness suddenly seemed awfully appealing. Something fresh and chock full of foods that are natural and good for you—and nothing else. 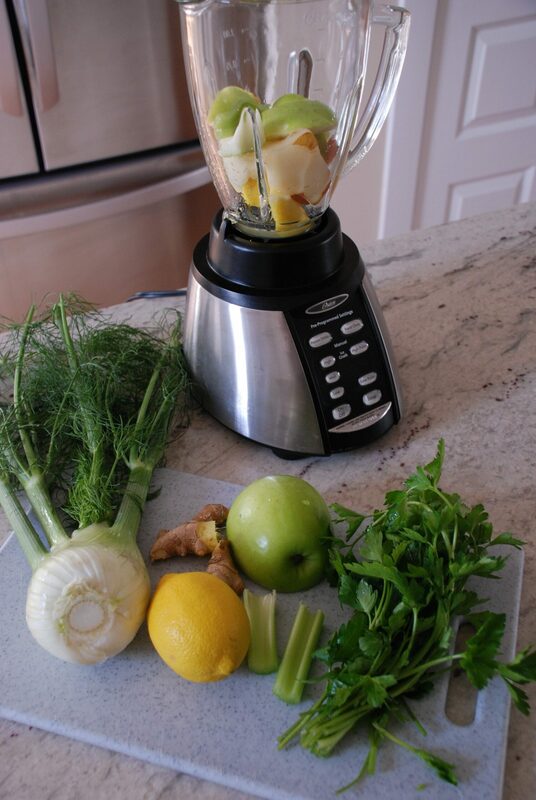 In this mindset, I came across Matthew Kenney’s “Green Juice” recipe in the New York Times. Yes. This recipe was the right starting point, from which I could quickly create my own green concoction that would taste good to me. For example, I opted against using a whole lemon (skin and all), which I suspected would make it bitter, and I wanted to include the flavors of pear, parsley, and celery. I also don’t own a powerful juicer, so I needed to adjust the amount and ingredients so they would come together in a blender. But I loved the concept and what this beautiful beverage had to offer. Besides the fiber of the whole lot, many of the ingredients are reputed for their high concentrations of nutrients (apple, pear, kale, spinach, parsley), antioxidants (lemon, fennel, ginger, celery, pineapple), and possible digestive benefits (ginger, pineapple). By the way, the beauty of smoothie and juice blend recipes is that you can tailor them to what you can get and enjoy as I have done with my version. And if you don’t like the flavor, you can simply blend in more of what you do like (say, apple) to change the balance. The key to keeping this to what I’m calling a “post-holiday elixir” is using all fresh vegetables and fruits and not adding anything you’ve been eating too much of—no fat, no dairy, no processed foods, no added sugar (and sorry, no wine or whiskey, either). The drink’s texture is something in between juice and a smoothie—it’s slightly thick from all the vegetables and fruits, but not frozen. I love the spice of the ginger and the sweet notes from the fruit, but most of all how fresh it tastes. A one-cup serving was surprisingly filling, and I saved the rest covered in the fridge for the next day (it was just as good). Best of all, the drink satisfied my psychological need to give myself a nutritional boost. I wouldn’t shop for and make this drink every week. But I see it being a regular part of my year, particularly after stints of rich and festive eating. 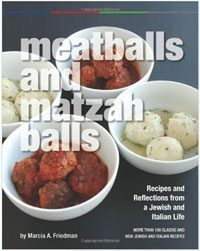 And I think it will be ideal during Passover—a time when one especially needs a good green something (or five) after all that matzah. Here’s to a healthy and delicious 2017. Freshness in your glass, this smoothie/juice blend seems like the perfect nutritional boost, especially after a spate of rich (delicious) holiday meals. The ginger gives great flavor but also some spicy heat, so go easy on it until you see how much you like. If you want a thicker texture, try freezing the spinach and kale leaves the night before. 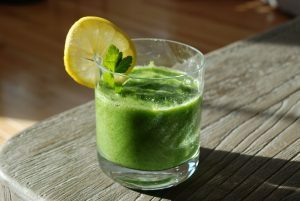 Adapted from Matthew Kenney’s “Green Juice” recipe in the New York Times. Place ingredients in this order in a blender. Process, stopping and scraping down the sides often, until smooth. Serve immediately or cover and refrigerate for up to 24 hours.